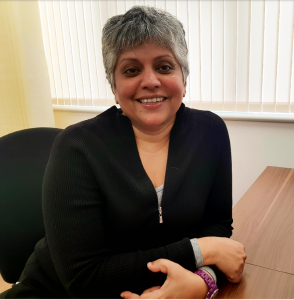 September is Blood Cancer Awareness Month, so Medstars’ Demi Sanders caught up with haematologist Dr Prem Mahendra, to find out more about blood cancers. Prem, it’s great to chat to you. What are blood cancers? Are all blood cancers the same? How common are blood cancers? How would I know if I had blood cancer? How would you treat blood cancer? “The majority are treated with chemotherapy. Some, mainly lymphomas, may be treated with radiotherapy to stop the cancer cells dividing. In blood cancer the abnormal dividing cells are blood cells or stem cells, so chemotherapy and radiotherapy may be followed by a stem cell transplant. Where do people find stem cell donors? So should we all sign up for the Anthony Nolan Trust donor register, then? Have there been any recent developments in the treatment of blood cancers? You can book an appointment with consultant haematologist, Dr Prem Mahendra, here. Prem specialises in adult blood cancers and has particular expertise in stem cell transplantation, setting up one of the largest centres in the UK.